If we’ve learned one thing in 35 years or so of creating jingles, it’s that they can actually make you do something, like tap your toes, or sing along… even get you dancing. On an emotional level, a good jingle gets you involved. At MJM, we believe music moves people..
Here’s what scientists believe: a jingle (lyrics set to music) is remembered much longer than mere spoken words. Moreover, it’s stored as emotional memory, which means folks will feel a good vibe when they recall the jingle. 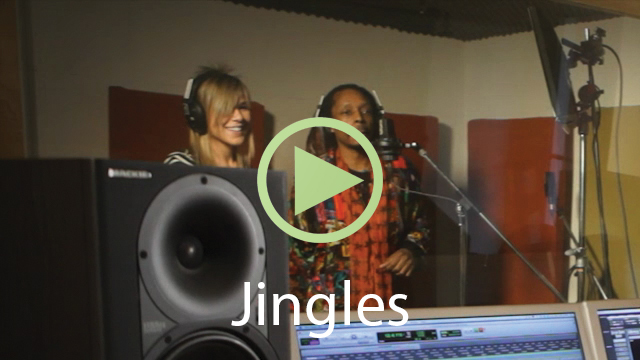 Another key function of your jingle is to support the emotion your brand should be projecting. A good jingle also creates a musical template that brings consistency to all your radio commercials, improving your branding by constant melodic repetition. Plus, your jingle is proprietary: it’s not just a bland background track of stock music, it’s your song, and it’s your story in a few short words. Over the years, we’ve helped lots of small companies grow into big companies with branded music: Pizza Pizza had just a handful of downtown locations when we did their jingle and started producing all of their radio ads. Sleeman wasn’t even brewing yet when we approached them to create their unique “bottle music”. And our music has been featured in most productions for MADD Canada over the last 15 years or so. We believe our use of music to create emotion in their dramatic commercials and movies actually helps influence people to drive sober. So that’s what we do here: compose jingles that build brands, because we believe in harnessing the power of music to motivate people.